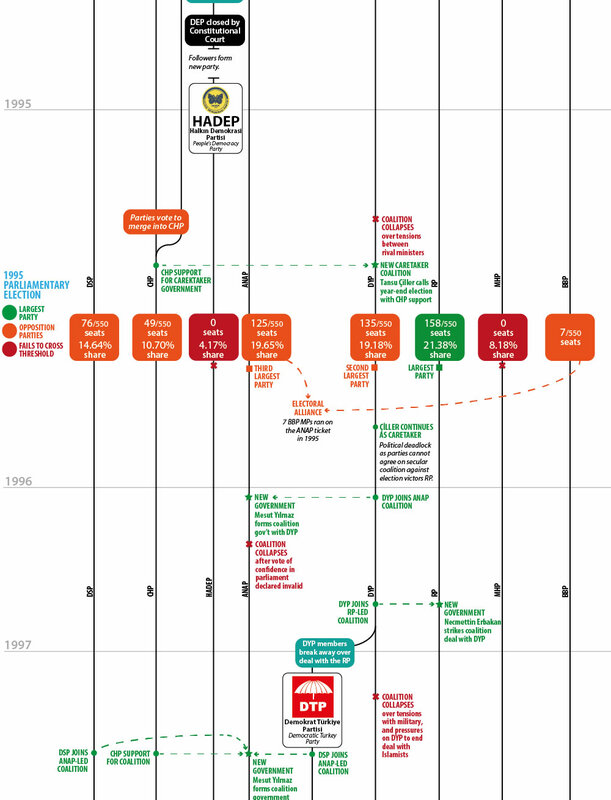 Can’t tell your DBP from your HYP? 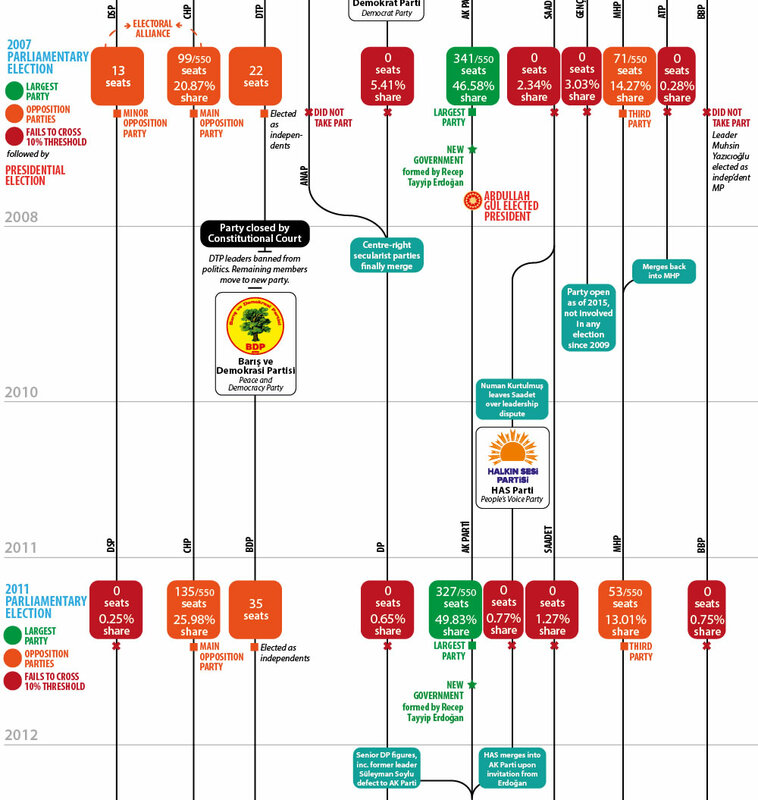 Here’s our ultimate guide. 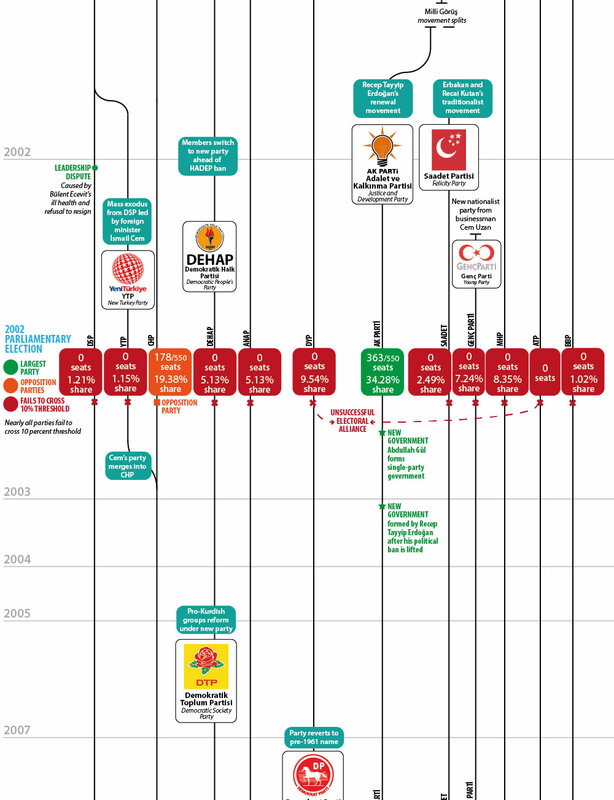 Turkish politics has been a complicated beast to follow since the 1980 coup. 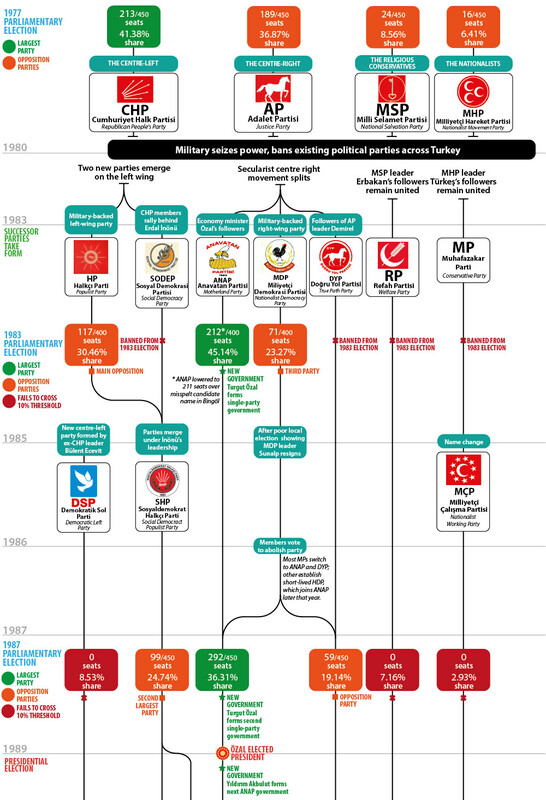 Vast electoral swings and enforced party closures meant that the 1990s in particular resembled a spaghetti junction of shifting allegiances and cross-spectrum alliances. 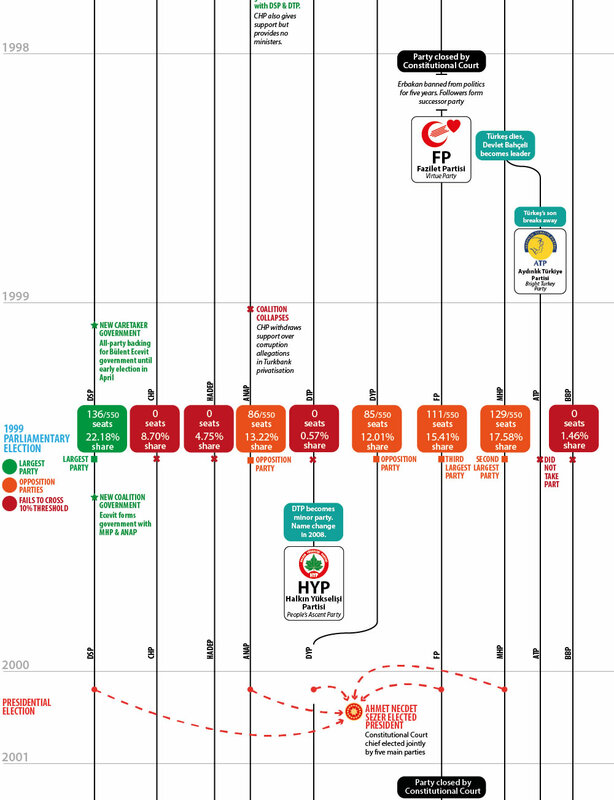 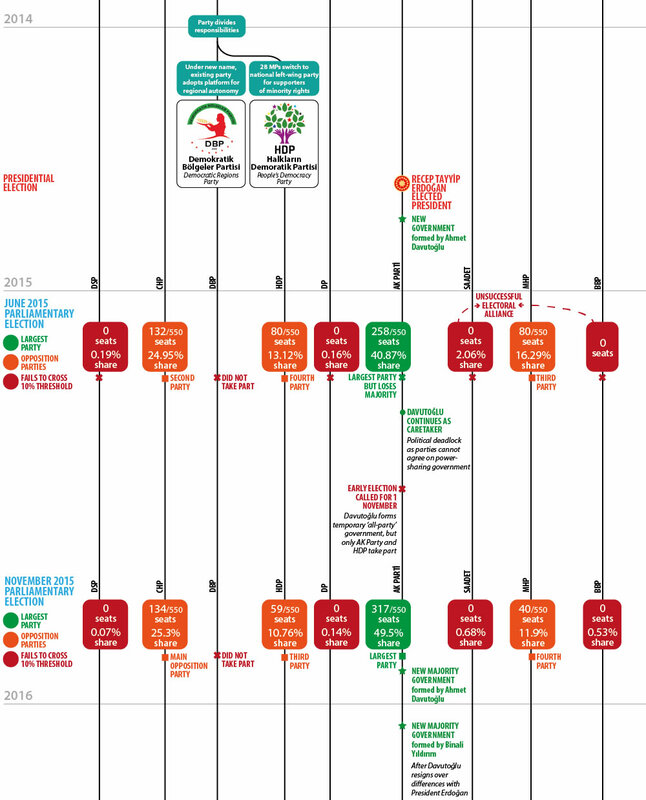 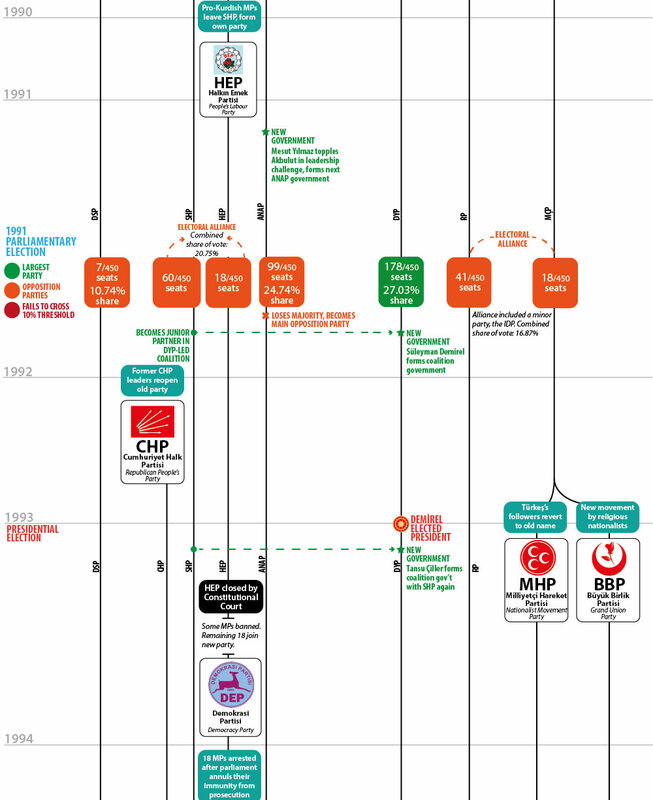 To help you navigate it all, here’s JamesInTurkey.com’s road map of Turkey’s political parties, from 1980 to the present day.